Congratulations! Have you seen Robeez brand baby shoes? I have a hunch that you'll love their styles -- they're SUPER CUTE -- & known as healthy for lil one's feet, unlike some baby shoes. On hip2save.com they had a link for a huge Robeez sale on some website last week, you might wanna check that out. 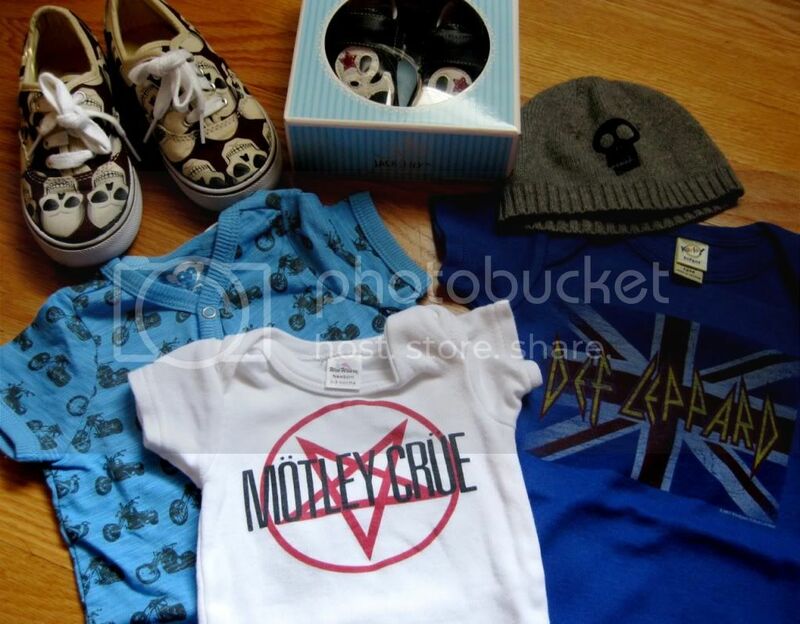 I've gotta say, I'm already jealous of the baby, I want those little skull shoes and the mini Motley top is awesome. Aw, thanks everyone! We're totally excited, and I'll probably bore you to death with details of everything! @BridgetKat - I'll have to check Robeez out, haven't heard of them!